You are here: Home>Archive>Taylor Brown Collection.>Miscellaneous documents and objects.>Passport for F.H. Brown. 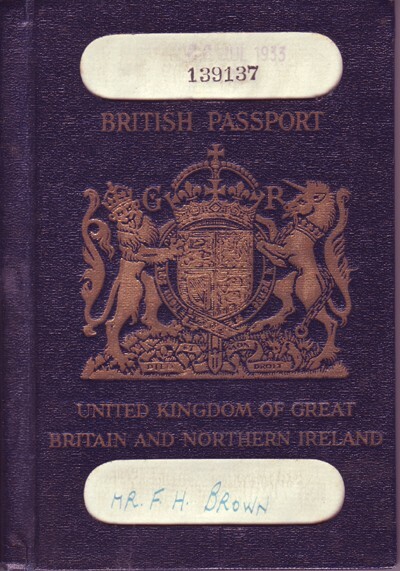 Blue British passport belonging to Mr. F. H. Brown dated 26 July 1933. There are two stamps for Dieppe.